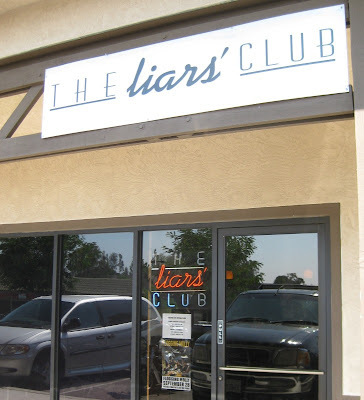 It took a road trip all the way to the East Coast and back to get us out to the new Liars' Club location in Alpine. There has been a hole in our hearts ever since the original Liar's Club in Mission Beach closed, so it was good to finally see the new digs. Still, the locals in Alpine have it pretty good these days. 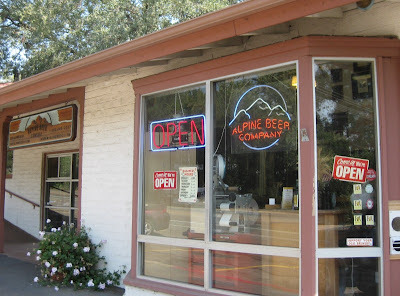 In addition to Liars', they have Alpine Beer Company just down the road. 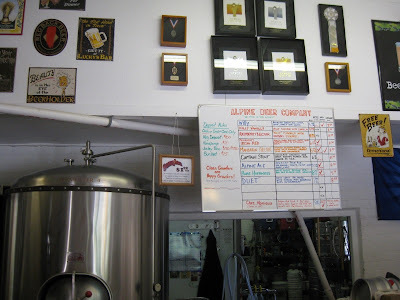 Alpine is our favorite local brewery - which is saying something given the other great options in San Diego. It is also hard to beat Alpine's prices - less than $9 for a growler refill of Duet is an absolute steal. Unfortunately, all of our growlers were at home (note to self: when heading out east, always take growlers!) and we didn't want to add to the already large collection, so we just picked up a couple of bottles of Pure Hoppiness. 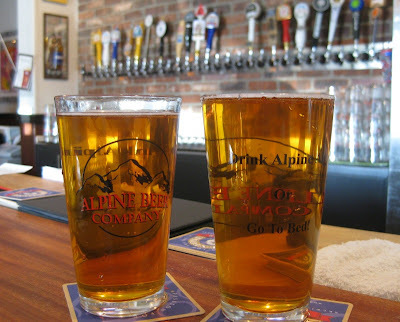 I didn't even know Alpine had a brewery. Thanks for the info, maybe I'll have to request it at my local beer bar (Hamilton's in South Park). Alpine is pretty small and doesn't have much distribution. The only places I've seen their beer is at Liars' and O'Brien's. I haven't been to Hamilton's yet, but I've heard good things about the place.